Clarification is require by me and hope some one will give me an good explanation. 1. 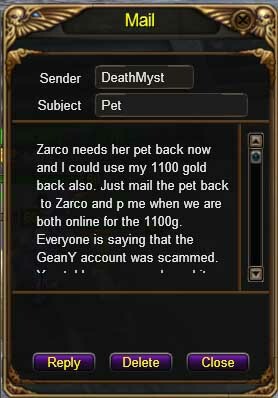 Pet maybe can send by mail but gold need to be trade from player to player, do have another Lv 60 Mini in game ? 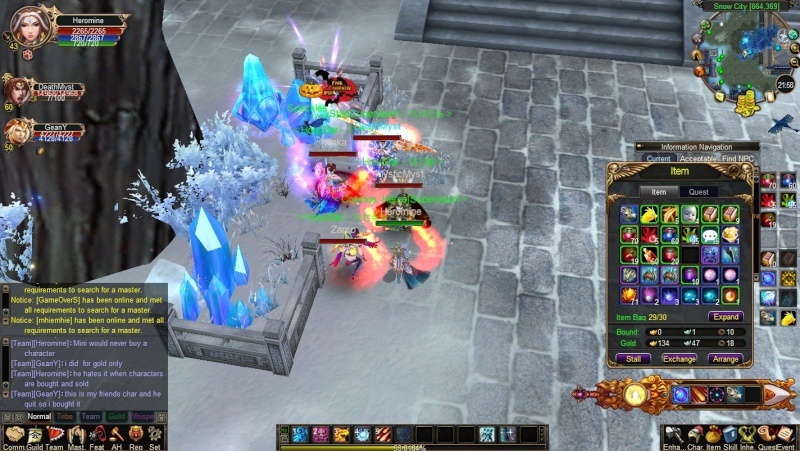 if the 'Mini' that is not lv 60 and without all the gear as what Mini have why trusted him and trade to him? 2. All know i never encourage any form of acc trading specially from 'good friends' and how to believe whoever that fake char is me? is an serious accusation of those statement above toward me I deserve an good clarification. 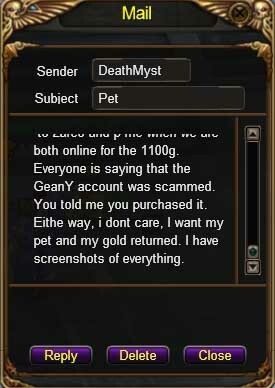 I really wish to see those SS taken by DeathMyst to be posted here. from there i may able to figure out who is his main. Thank you bro, with the help of your SS got those ban.